Just south of us in Mt. Lake, Minnesota is a kind and conscious family who is growing food for their CSA (Community Supported Agriculture) customers. We went to have a chat on a cold winter Monday and learned about the many good things Jubliee Fruits and Vegetables is up to in our neck of the prairie. This wagon shows what their customers can expect during the summer. Just west of us and south of the town of Lamberton, we met Kathleen and her one year old daughter Amana. Their family farm grows camelina, the seeds of which are harvested and turned into a tasty oil, rich in omega-3’s, that can be used for cooking and baking. 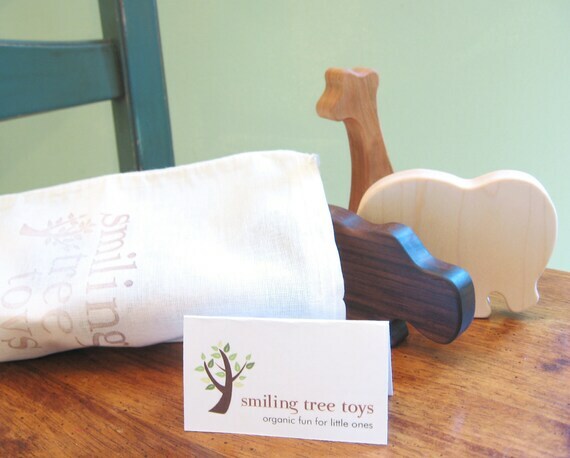 They even use camelina oil as a wood finish on their handmade wooden toys. Visit their toyshop. Kathleen introduced us to her sister who grows wheat south of Mankato in Good Thunder, MN; the whole wheat is used at River Rock Coffee in St. Peter. We made a tasty granola treat using camelina oil and whole wheat flour from Good Earth Mill and Grains. We look forward to getting to know our neighbors and meeting new neighbors in Southwest MN!